Fingerprint Cards AB (FPC) is a high-tech, listed company which develops, produces and markets biometric technology that, through the analysis and matching of an individual’s unique fingerprint, verifies the person’s identity. MOBILE WORLD CONGRESS 2017, BARCELONA. BlackBerry’s new Android phone KEYone includes an added layer of security and convenience based on world-leading biometrics company Fingerprint Cards’ (Fingerprints) touch sensor FPC1145. 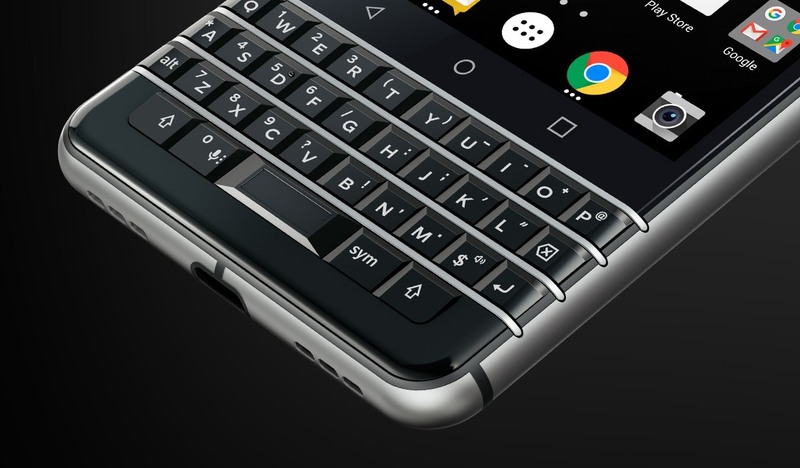 The world premiere of a fingerprint sensor in the keyboard of BlackBerry KEYone is the result of a close collaboration between BlackBerry’s hardware-team and Fingerprints. Fingerprints’ touch sensor FPC1145 is integrated in the space key on the BlackBerry KEYone. In KEYone, BlackBerry combines its security hardened Android OS with an iconic hardware design. Fingerprints contributes in the collaboration with its high-performance, small form factor fingerprint sensor and advanced software technology for lightning fast authentication. “Fingerprints congratulates BlackBerry and its partner TCL on the introduction of the BlackBerry KEYone secure Android smartphone. We are pleased to be the fingerprint sensor technology partner for this innovative new Android device”, says Christian Fredrikson, CEO Fingerprints. “In a world of look-a-like smartphones, the KEYone stands out with multiple unforgettable features including Fingerprints’ touch sensor in the keyboard. We look forward to the expansion of our partnership and future BlackBerry devices based on our secure sensor technology”, concludes Christian Fredrikson. Fingerprints’ FPC1145 touch sensor is a revolutionary robust fingerprint sensor with flexible design possibilities, ideal for smart buttons. It offers excellent 3D pixel-sensing technology that reads virtually any finger: dry or wet. Its elongated form allows 360-degree rotation of the finger and unrivalled sensitivity that enables maximum performance without compromising on design aesthetics or user experience. Already received as well as expected Fingerprints revenues in 2017 that relate to the sales of the FPC1145 sensor are included in Fingerprints’ communicated revenue guidance of 7500-9500 MSEK for 2017.